Sometimes in spite of their ‘good intentions’ – Government(s) go too far – and the result is a new lawsuit against them. For the most part last summer the Town of Vail’s efforts working with the Private Sector did a good job with their summertime ‘economic development’ to bring folks and their wallets into Vail for any number of tourist reasons all summer long. Vail’s increased Sales Tax numbers over last summer – support the conclusion they did a good job working with Vail’s Private Sector…in an otherwise tough U.S. economy. 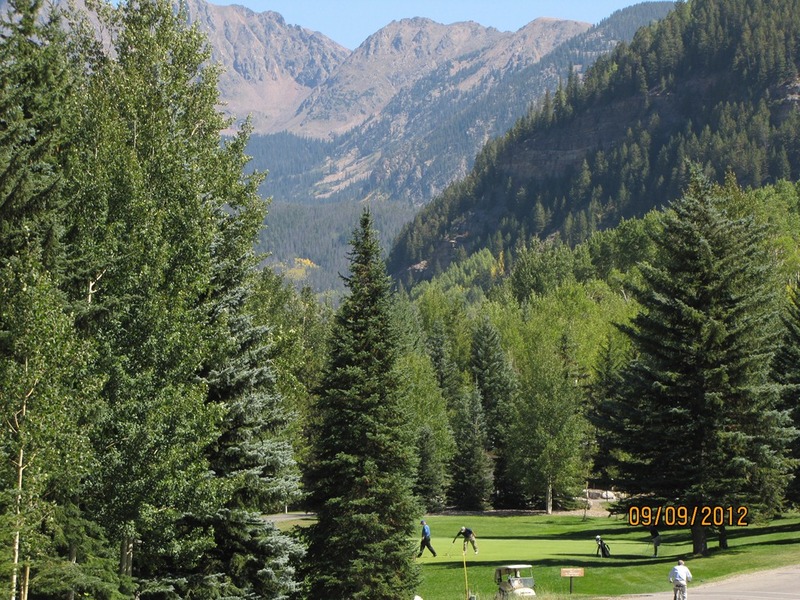 Then they (Town of Vail and Vail REC Board) went too far…They wanted to “improve” the Vail Golf Course and clubhouse – in order to further their desire to increase more ‘economic activity’ there at the Vail Golf Course and Club House. Their plan included changing/moving the 18th Green from a Par 5 to Par 4 and use the additional land recovered for a bigger Club House and expanded Parking. For their part the effected Property Owners – who own Property around and near the 18th Green – were not amused. 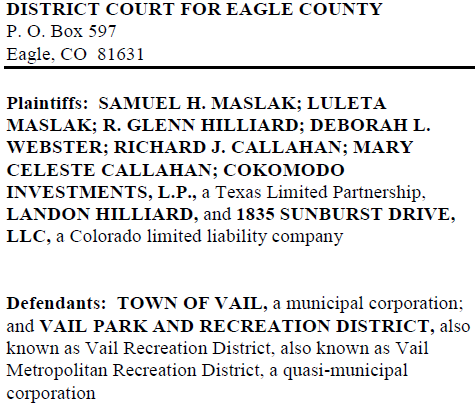 Their legal objections were raised once they learned of Vail REC’s and the TOV plans to move ahead, and now the entire matter (seemingly due to Government(s) deaf ears) – is in the hands of the District Court in Eagle, Colorado. The just assigned case number is 2012CV912 – and the District Court Judge assigned is Thomas Moorhead (formerly the Town of Vail Attorney) from a few years ago. The Civil Suit (complaint) just filed at the Courthouse is 9 pages long – the crux of the Plaintiff’s (neighbors) case is focused on a preexisting legal document referred to as the “Pulis Covenant” that exactly defines (according to the Plaintiff’s) what the Golf Course land can and can’t be used for. 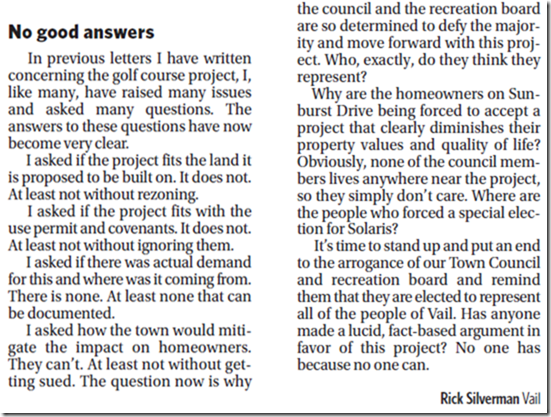 Obviously the Plaintiff’s believe the TOV and Vail REC’s plans to change the Golf Course are in no way consistent – with the verbiage in pre-existing legal “Pulis Covenant” that defines the use of this land when it was Deeded to the Town of Vail – years ago. Given the financial resources of all Parties involved in this litigation a legal appeal – would seem likely no matter how the case is decided at the District Court level. Just how precise/clear is the language in the “Pulis Covenant”? Well we’ll all see as the case moves forward at the District Court house in Eagle.